GTR 96: "Space is Cool as F#@%" author Kate Howells is my amazing guest! 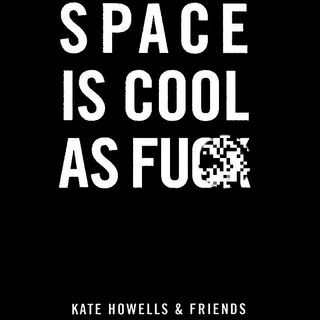 Space is cool as f#@%, so much so that Kate Howells wrote a coffee table book exploring that very notion! Kate was kind enough to join me this week for a truly fascinating discussion on the role of science in our daily lives and even the coexistence of science and religion. It IS possible to go to church on Sunday and the lab on Monday! Who'd've thunk it?